Many of the challenges of modern society can be solved through sustainable use of the ocean. SINTEF has for many years been an important partner for both industry and the public authorities, and is now aiming to strengthen its position at the forefront of future-oriented solutions. "By combining our efforts in this field, we will become an even better partner for our customers and the authorities linked to the marine-based industries", says SINTEF CEO Alexandra Bech Gjørv. 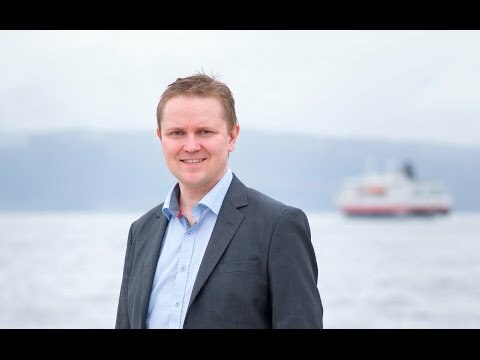 "It is one of our strengths that our co-owners include motivated industrial organisations, all of whom share our ambition to advance Norway's leading position as a maritime nation. This requires a holistic and cross-disciplinary approach to research", she says. Up until now, SINTEF's marine research activities have been dispersed across several of the Group's institutes. SINTEF Ocean will combine the research, laboratories and employees currently linked to MARINTEK, SINTEF Fisheries and Aquaculture and the Department of Environmental Technology at SINTEF Materials and Chemistry. All external minority shareholders support the merger and will continue as shareholders in the new institute. All the necessary administrative formalities required to achieve the merger have been completed. SINTEF Ocean will be up and running from 1 January 2017 as an integrated part of the SINTEF Group, and its shareholders will be strongly represented on the Board. It will become the second largest of SINTEF's research institutes, employing about 340 people. Research will focus on industries and activities that are important to Norway such as fisheries, aquaculture, the maritime sector, offshore oil and gas technology, as well as research into new opportunities. The institute will be equipped with a range of laboratories, many of which are world-leaders in their field. They include the marine technology laboratories in Trondheim, which contain the world's largest ocean basin laboratory, the biomarine and environmental technology laboratories at SINTEF SeaLab, the aquaculture field laboratory sites on the island of Frøya, and the fisheries technology laboratories at Hirtshals in Denmark. The merger represents an important step in our work to achieve our vision of the ocean space research laboratories of the future – the Ocean Space Centre. This project has been assigned high priority by the Norwegian government as part of its Long-term Plan for Research and Higher Education, which has been unanimously adopted by Parliament. SINTEF Ocean will be working closely with NTNU, which also carries out ocean research as one of its areas of focus, and with other institutes within the SINTEF Group with relevant specialist expertise. Vegar Johansen has been appointed CEO of SINTEF Ocean. He is 43 years old and currently CEO of SINTEF Fisheries and Aquaculture. Johansen has a Ph.D. in marine cybernetics from NTNU and joined MARINTEK in 1998. He transferred to SINTEF Fisheries and Aquaculture when the institute was established in 1999, and became Research Director for fisheries technology in 2009. Since 2015 he has headed the institute and has been a member of SINTEF's management team. Johansen is also on the Board of SINTEF Petroleum Research. "I feel highly motivated to lead the many skilled and expert employees at SINTEF Ocean", says Johansen. "It's important to maintain a holistic perspective during the development of marine resources. My ambition is that this merger will enable SINTEF to provide even better and more relevant research and services to global marine industries", he says. Owners: The SINTEF Foundation (71.5%), the Norwegian Shipowners' Association (16.3%), DNV GL (5.4%), the Federation of Norwegian Industries (2.7%), the Norwegian Maritime Authority (2.7%), the Norwegian Fishermen's Association (0.8%) and the Federation of Norwegian Coastal Shipping (0.5%). The Ocean Basin Laboratory is used for basic as well as applied research on marine structures and operations. A total environmental simulation including wind, waves and current offers a unique possibility for testing of models in realistic conditions. With a depth of 10 metres and a water surface of 50x80m the Ocean Basin Laboratory is an excellent tool for investigation of existing or future challenges within marine technology. The biggest diving operation ever undertaken at MARINTEK has just come to an end. Forty people participated in upgrading the movable floor of the Ocean Laboratory. The potential for increased value creation in Norwegian biomarine industry is huge. In a new analysis says a task force appointed by the two science academies NTVA and DKNVS that it is possible with a turnover of 550 billion in 2050, a sixfold increase from today. The working group consisted of renowned scientists, experienced managers, entrepreneurs and industry players. Scientists at SINTEF and NTNU have penned the report. SINTEF is now financing the priority project "Bio-based products from sustainable resources", an interdisciplinary project where three SINTEF institutes collaborates with a common goal – to develop technology for the creation of valuable products from renewable marine biomass. The project focuses on the whole value chain, from industrial scale cultivation of seaweed and development of methods for conversion of the seaweed biomass into energy and platform chemicals.